Professional cleanings performed by a hygienist or dental assistant are important to your child’s dental health. Daily brushing and flossing is important to maintain healthy teeth. When working with children we realize we must move quickly and utilize our time in an efficient manner in order to make the experience as pleasant as possible. During our comprehensive exams our doctors are not only making sure each child has the correct number of teeth, but are also looking for any decay, anatomical deformities of each tooth, monitoring growth and development and examining the soft tissue and tongue. Regular examinations help detect and prevent health issues before they become serious. Dental check-ups twice a year will help us catch problems when they are small and easier to treat. Left unattended, small treatable problems become worse and may require more extensive, expensive procedures to repair. Digital X-rays as needed and recommended by the AAPD to assess proper tooth development and healthy eruption of primary and permanent teeth. Fluoride is a natural mineral that has been proven to strengthen teeth and prevent the incidence of tooth decay. The American Dental Association recommends fluoride treatment for children as soon as new teeth emerge. This preventive measure of applying a fluoride varnish to a child’s first teeth can strengthen teeth at risk for decay and create a tooth surface that is more resistant to decay. Applying a fluoride varnish protects a child’s primary (first) teeth from decay. 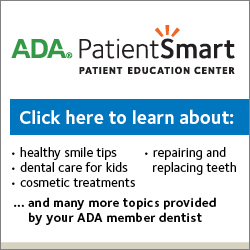 The ADA & AAPD recommend a professional fluoride treatment twice per year. Fluoride varnish works by repairing gaps in the tooth enamel, protecting teeth from plaque forming bacteria that likes to colonize in small pits and gaps. Fluoride is easily applied to teeth. It dries almost immediately upon contact with clean dry teeth and will not be removed by saliva. 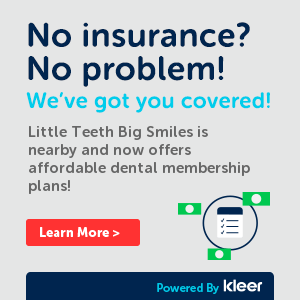 The procedure is quick, painless, and often included in dental insurance coverage. You can check with your insurance provider to be sure. Once children have their permanent teeth, dental sealants may be applied for the protection of the back teeth or molars. Sealants are a thin plastic coating painted on the chewing surfaces of teeth (usually the back teeth) to prevent tooth decay. Most children get their first molars between the ages of five and seven and their second (permanent) molars around the ages of 11 – 14 which is the time to apply sealants. Using both fluoride varnishes on your child’s primary teeth and sealants on the chewing surfaces of your child’s permanent teeth are effective solutions to help prevent or slow down tooth decay. If you have ANY other questions or concerns – please contact our office.